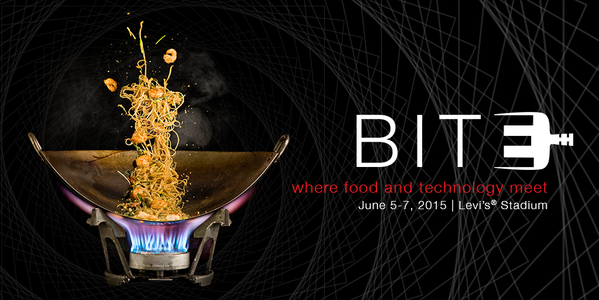 The first BiteSV food and technology conference brings together chefs, winemakers and technologists under one roof from June 4-7, 2015 at Levi’s Stadium in Santa Clara. Chef José Andrés, Josh Tetrick, CEO of Hampton Creek Food, Chef Michael Chiarello, and Dr. Robert Fraley, executive vice president of Monsanto are some of the speakers at the event. Roi Choi, Charlie Ayers, Mei Lin, Michale Mina, Veronica Arroyo, Michael Voltaggio are some of the celebrity chefs particpating in the conference. Here is the full list of chefs and speakers. The 3 day event includes discussions, demos and food/wine tastings. Some of the issues discussed include how to manage food waste, the challenges of feeding billions of people, creating plant-based protein, a renewed debate on GMO foods and food apps. There will be demos of 3D food printing, sous vide cooking, solar cooking and more. The event is also supporting two San Franciso bay area organizations – Second Harvest of Santa Clara and San Mateo and 49ers Foundation. For tickets and information visit bitesv.com.